4seating.com has now added extensively to its line of home theater seating which highlights power adjustable headrests; our site now offers 14 different models in this category to choose from. 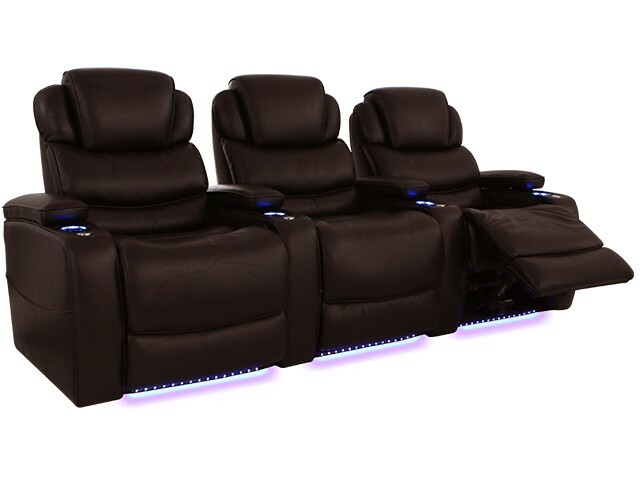 Each home theater chair, from the esteemed Seatcraft and Barcalounger brands, features an array of attractions including chaiselounger seating, lighted cup holders, ambient base lighting, and in-arm storage. Added to these convenient features is a new evolution in theater seating, both hi-tech and eminently useful: the power adjustable headrest. The power adjustable headrest works a lot like the power recline function--it allows you to move a section of the seat, at the simple press of a button. This expedient power option allows for the greatest flexibility in positioning, as the headrest will gently stop at any place the individual feels is comfortable for their head, neck, and shoulder placement. Rather than staying in the same position for hours, one can freely re-adjust their setting at will; such flexibility of movement will help to reduce neck and shoulder fatigue, allowing you to better focus on the screen action. The power headrest is more than just a convenience; it's a necessity for anyone who spends a lot of time in their home theater. 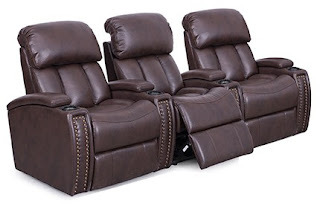 Of the recently added home theater seats which feature the power headrest, the Seatcraft Sonoma is an elegant luxury model which comes in both leather 7000 and leather gel options. Leather 7000 is a exclusive brand of leather that is carefully hand-picked from the top third of all hides, ensuring superior look, texture, and even aroma. Leather gel is a new style of leather which replicates the soft feel of top grain leather, at an outstanding value. Either choice will have you sinking into the Sonoma's rich folds in seconds. Power adjustable headrests aren't its only attraction--a USB station allows one to charge cell phones and laptops for an expanded entertainment experience. Lighted cupholders and ambient base lighting accent this chair handsomely, while providing the practical function of finding beverages and seats in a darkened theater. 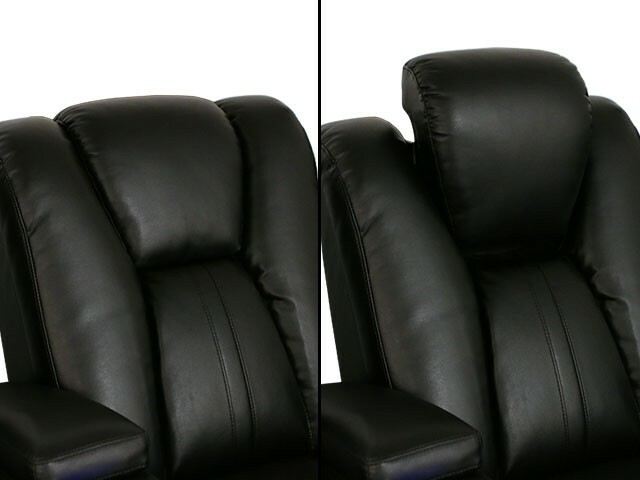 Seatcraft Odyssey Home Theater Seating comes in 100% genuine bonded leather, which like leather gel, mimics much of the soft texture and swank appearance of full grain leather, at a superb value. 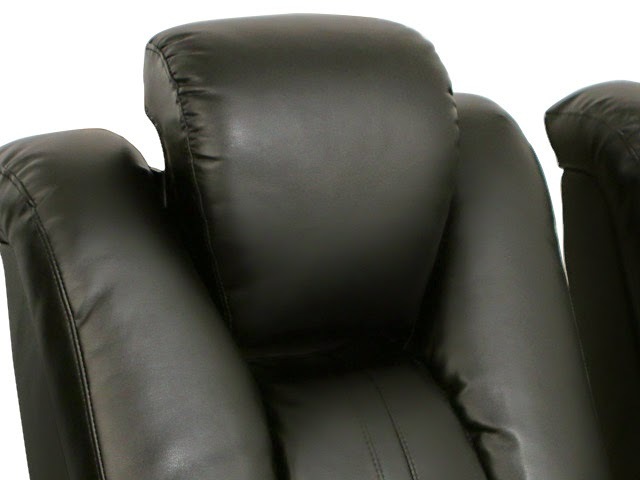 It highlights a unique, muscular back rest design which is topped by a padded headrest and comes with in-arm storage, lighted cup holders, and a wall-hugger feature that allows it to be placed just inches from any wall, even in full recline. Chaiselounger seating allows one to stretch out the lower body, by providing a pampering buttress of support that eliminates the gap between the seat and footrest. 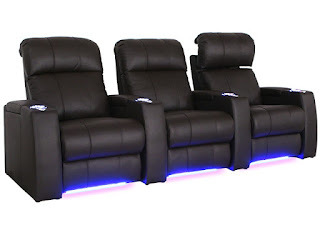 The Odyssey's sophisticated media room seating will become a powerful centerpiece to any home theater setup. The Seatcraft Overture home theater seat boasts many of the same features as the Sonoma and Odyssey--chaiselounger footrests, in-arm storage, lighted cup holders--and adds a unique nailhead design to the armrests, for a classic touch of character. 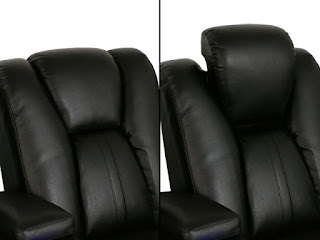 This home theater seat's overstuffed headrests can be adjusted forward or back, in any desired position within that range. Besides being one of the finest designs in this series, this chair is also one of the most outstanding values in our power adjustable line of theatre seating. Meanwhile, The Barcalounger Columbia, is an incredibly plush, overstuffed seat that re-defines the meaning of the words "sink-in". Its leather gel construction is richly textured yet soft to the touch, and will cradle your body in its bold, multi-sectional seat back design. In addition, cool gel foam will ensure that the seat stays at a comfortable temperature, absorbing and then dissipating body heat. This home theater seat also features USB charging, included tray table, lighted cup holders and ambient base lighting for an all-in-one experience. Your body will instantly crave the Columbia's addictive, enveloping touch as your neck and shoulders relax with its adjustable headrests. Each chair in the power headrest series comes with its own unique character, so it's simply a matter of choosing which one of these sumptuous designs will best meet your home theater needs. One thing is certain, however--your head, neck, and shoulders will thank you!